Mr. Custody Coach has scheduled a radio program to discuss the topic of custody evaluations on November 18th, 2009 at 2:00PM EST. The Coach’s guest for the program will be Dr. Robert A. Evans, a licensed school psychologist who has a private practice in Palm Harbor, FL. It’s going to be a very interesting and insightful show. If you have a custody evaluation pending, have already been through one (or more), or may have to face another one, this is a good show to call-in or listen-in. 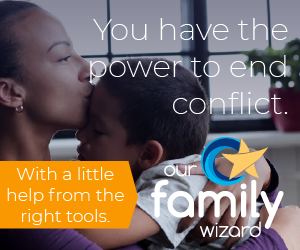 There is a lot to learn and we will cover as many facets of the issues involving custody evaluations as we can. We’ll be live for 45-minutes. If we do carry over, you can always catch the end of the program by listening, on demand, here: Radio Show Page at Mr. Custody Coach’s Website. You can also listen to all of our past shows, too. It is just right for them to discuss more of the custody evaluations. This one should be tackled further because we must have proper education and learning about it. What a great way for us to learn for our children.